Sumukhi Suresh. The name is enough to turn the hardest scowls into pleasant smiles. Over the past few years, if there are a few comedians who have redefined the standup comedy circuit with their unique antics and incredible talents, then Sumukhi shines through as bright as the north star. But stand up performances is not all. Here’s a comedian, who never shies away from cracking jokes on herself, and invoking a million laughs via her YouTube performances as well. There’s so much you can find inspiring and entertaining about Sumukhi Suresh, that it’s better we take you directly to our conversations with her. 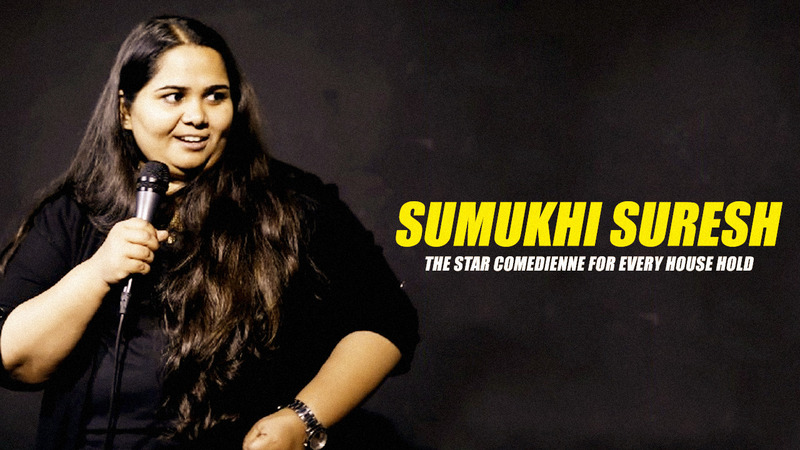 So Ladies and Gentlemen, here’s your comedienne par excellence, Sumukhi Suresh…. Today if we look at the comedic presentations on YouTube within our country, Your name is one synonymous with earthy and relatable humour via Behti Naak series. We are curious as to how the idea for Behti Naak come up? Was the character always structured to be semi-fictional or is she someone truly inspired by someone in reality? I love creating characters. It’s almost like a party trick for me. While shooting for better life foundation I remember randomly improv-ing this character in front of Kanan Gill and Utsav. Kanan suggested I should write sketches with this character and that’s how it happened. There are some of Behti’s traits that I have borrowed from my older brother. I also wish to keep the set up lower middle class/poor which is my childhood, but all her defining traits are fictional. When one looks at your performances, Be it the Better Life Foundation, Anu Aunty or of course Behti Naak, there a certain spontaneous finesse in your acting, underneath all the humour and shenanigans. We wonder if you come from a theatre training or have some sort of acting education. Also, how easy or difficult is it to Act in a certain comedic way like you did in Anu Aunty. First of all, thank you for saying that. Very sweet of you guys to notice the effort. Coming to the question, I don’t have formal training in acting. I did my graduation in Chennai and I acted in one play with Theatre Nisha in 2008. After that, I directly started with Improv comedy in Bangalore in 2013. As of now, I play my characters as honestly as possible. If I am watching myself playing something, I shouldn’t be cringing. I should feel like its the most natural rendition of the thought being expressed. Although I do wish to attend more workshops and courses on acting and writing which I will plan shortly. We are curious to know the story behind India’s Tina Fey (a headline we came across in our research) Sumukhi Suresh. Where does she hail from and what brings her to this arena of comedy. Also, with a non-conventional methodology of humour, looking back was it difficult for you to make your mark as a comedian of repute presently? That headline still haunts me! I was flattered but we all know I have some more time to go to be a “Tina Fey”. I am Tamilian who was raised in Nagpur. I was working at a food and water safety laboratory when I took up improv comedy as a hobby. In fact, I didn’t even know The Improv (the improv group that I am a part of) was a comedy group! I moved on to writing sketch shows and then to stand up comedy. Every comic works to find their voice just like I am and will be for a long time. This process is hectic but then this is what we live for. Since we are obliged to ask some routine questions, here goes – what if not this? If you hadn’t taken up stand-up comedy, where would you have headed? And in doing so, would you have been a different person internally. In this sense, how does being a comedic artist change your views towards the society in general? Oh, if not for this I would have worked at the food laboratory for some time and then moved on to start my own food industry. In fact, you never know, I might just do that! I think being a comic has been the most comfortable I have been with myself. I have worked as a librarian, as a chef, as a microbiologist and this profession has been the most fun and makes the most sense. More than changing my view towards society, comedy has validated my view on society. We are particularly fond of your performance as the weird housemaid ‘Bai’ for which you collaborated with Sanjay Manaktala. And of course, the Better Life Foundation remains one of your highly appreciated works. Could you explain as to how these two projects happened, thereby defining your career going forward? In stand-up comedy, if you had to open for 3 comedians worldwide who would they be? Sarah Silverman, Jim Jeffries, Kanan Gill. Your Experience with catching a guy’s flirtatious hints are actually funny (in AIB feature). If you are to approach a guy, what would your moves be? Oh lord. I would want to be all seductive but I might end up throwing the pepper jar on him. What are the few things you ensure before signing up for a stage performance? What if it’s a project on the YouTube platform. Stage performance – the lights on my face shouldn’t be harsh, I am trusted with doing my job well rather and a bottle of water on stage to be available. Youtube- I am allowed to build the character, I have given characters rather than the same ones that I have done and I don’t play fat girl/fat best friend/take fat jokes. Within Female comedian colleagues, if you had to steal one thing from every one of them, what would they be? What happens when you wake up and you find out that you are Dhinchak Pooja. What would you do and if you had to write a song, what will be your starting lines? What brings out the best of your performances? 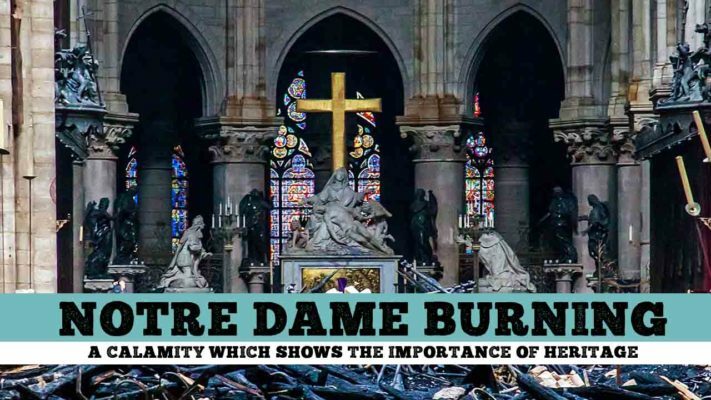 Is it a highly receptive audience, or the energy of the place or perhaps your own material? All of the above. Although my own material being strong is the most important! The stand-up comedy scene has really exploded in the last seven to eight years. Suddenly, comedians are becoming superstars with million dollar deals on Netflix or Amazon Prime. Why would you say this sudden eruption of acceptance comes out? What has changed in people? 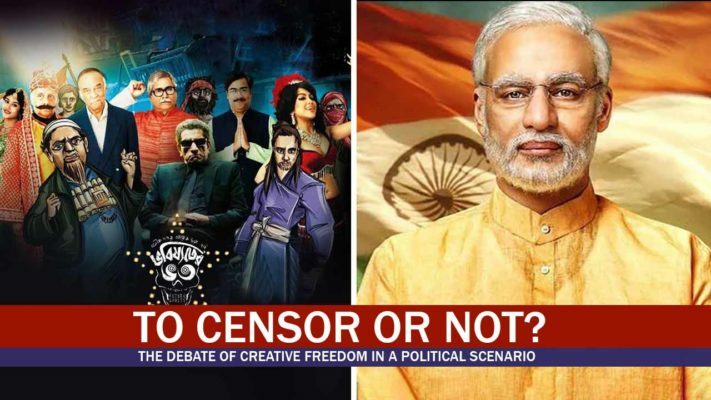 And more importantly, as a comedian what are the thoughts that Indian audience essentially needs to get out off? This is good news for us. Stand up has been around but it’s only now that English stand-up is picking up and that comedians are treated as influencers. This has been mainly because youtube and social media has connected content worldwide and nationwide. Our audiences although worry me sometimes. We aren’t very good at taking actually jokes but very good at laughing at misogynist and sexist humour. That really needs to change. Lastly, what would you advise me to the upcoming standup comedians who are striving hard to make it big? 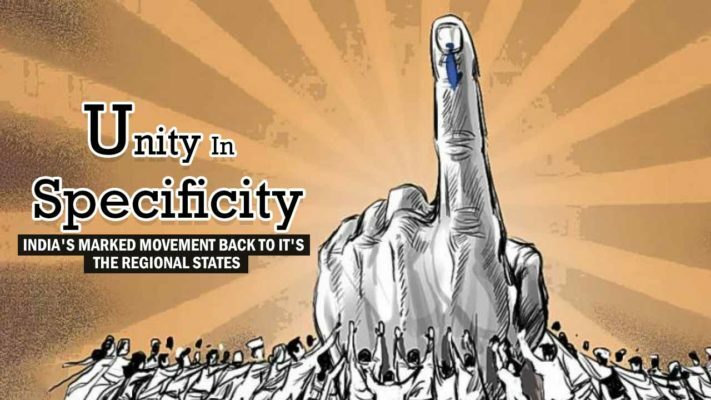 Also, with a successful series Behti Naak to your name, how would you ideally want to build on it. What’s next for Sumukhi Suresh in time to come? And at which point would you think you’ve done what you set out to do? Go for an open mic, bomb, cry, eat ice cream, repeat. I have interesting plans for Behti Naak Season 2. Since I have a strong cast I am looking to make it into a sitcom format and not only insult format but the duration will remain the same. So that was Sumukhi Suresh, as wonderful as always. We can’t wait for her next performance, and of course the Behti Naak season 2. You need to follow her work updates like right now on Facebook. So until next time, do the thing..!! Musical collective Indian Jam Project gives a classical touch to popular theme songs.